This nomadic preschool library moves around in a sledge. Schedule TBA. The Nenets deer herders of Yamal roam the tundra all year round. Deer-herding families are large, with three to six children in each. Instead of preschools and preschool teachers, these kids have their parents, the chum and the deer. However, at the age of seven, they enter a new stage of their lives. In the autumn, they are picked up in the tundra by helicopter and taken to the boarding school in the nearest settlement. The system of boarding schools for children of nomadic deer herders was created in the 1930s and has been kept up ever since. Education allows the children to choose between life in the tundra and a career in the city. Parents say that the children will be able to decide whether they want to return to the tundra or stay on the "mainland." It is not easy to adapt to a new life at school. The freedom these kids enjoy at home is replaced with the rigid timetable of a boarding school. Their mother and father are far away. They are surrounded by strangers who impose new rules on them. The subjects are taught in Russian, which is not native for most children. To make adaptation easier, this nomadic education project is launching movable kindergartens in the Yamal Peninsula. Alexandra Teryokhina, an anthropologist from St. Petersburg, spent a year on the move with a Nenets family. She carried out a pedagogical experiment, organizing a makeshift kindergarten in a chum to help 6-year-old Khasavako, the son of Konstantin and Albina Serotetto, prepare for first grade. A two-year-old toddler is walking across the camp. The world of the tundra opens up before him: The soil and the herbs, the deer, the shepherd dogs and the neighbors, arriving to visit the chum in their sleigh. Every toddler is looked after by grown-ups: His parent and grandparents, as well as his elder siblings who come home for the summer vacation. Nevertheless, as soon as a child reaches the age of three, he is given the freedom to do whatever he likes, except for leaving the camp. This freedom comes with occasional errands to run. 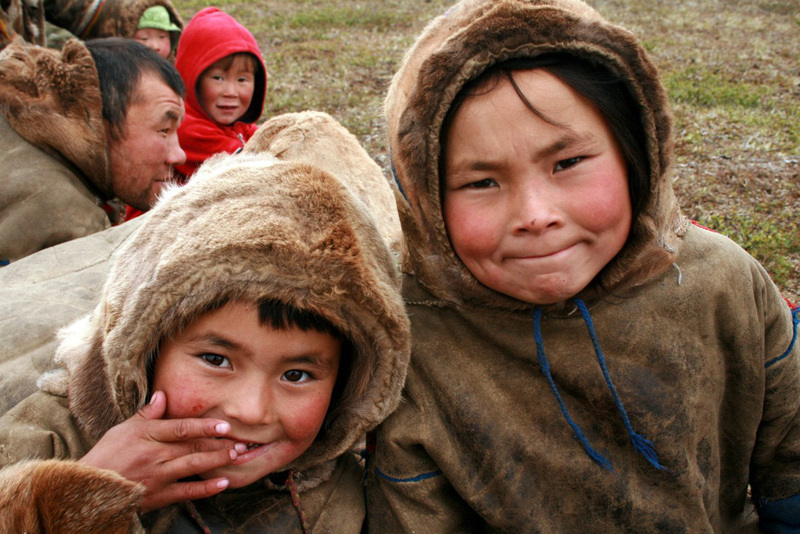 Preschool age is a blissful time for the kids of Nenets deer herders. They sleep as long as they like and don’t have to leave their warm bed until lunch. They get the tastiest food. Their favorite pastimes are playing with a lasso and building a toy chum, which looks just like a real one, only a good deal smaller. 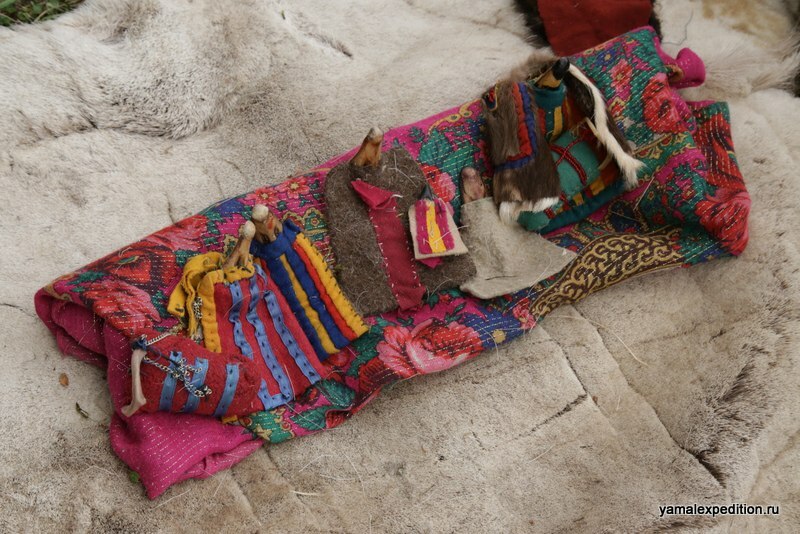 Girls like playing with nukhuko – traditional Nenets dolls made from goose or duck bills. Nomadic education requires a special teaching format that complements a nomad's life without disrupting it. Alexandra Teryokhina teaches children in camps, finding time when they are free from their chores. When the family moves camp, classes are put on hold. Alexandra brings all the necessary materials from the city. As soon as she has a couple of hours to spare, she gathers the kids for classes and pulls paints, modeling clay, paper stationery and learning games out of the sledge. During the summer months, the nomadic kindergarten consists of eight pupils: The Serotettos' children and their little neighbors. Six-year-old Khasavako is preparing for school: He’s learning numbers and the Russian alphabet. Nadya, who is about to start her second year at school, is reviewing letters and working on addition. Younger children – three-year-old Pedava and Lyubov, four-year-old Igor and five-year-old Semyon and Maria – join Khasavako and Alexandra to draw, cut and paste pictures and play with modeling clay. Tundra kids take great pleasure in learning new things. The only real challenge for Khasavako was reading: Alexandra persuaded her pouting pupil to read in return for games and cartoons. In winter, classes become shorter. During the polar night, the day is very short and the family only has four or five hours to stock firewood, feed the deer and cook some food or pack the entire chum with all their belongings for the next move. By contrast, the polar day makes it possible to hold classes outdoors with an audience present: Grandparents, parents and even other deer herders who have dropped by for a cup of tea. And then the fall begins. At the end of August, the school helicopter comes to fetch Khasavako and take him to the boarding school in the settlement. He is to spend a year in a new environment, with new rules, away from his parents. Yet Khasavako is very enthusiastic about his first year at school. His elder brother and sister have already told him that going to school is not easy, but it is interesting.